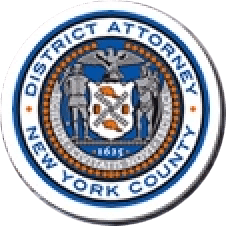 Manhattan District Attorney Cyrus R. Vance, Jr., today announced a superseding indictment charging OLIVET UNIVERSITY (“OLIVET”); ANDREW LIN, a/k/a TONY LIN, Chairman of the Board of Trustees of OLIVET; LINGYI XIAO, a/k/a/ JOHN XIAO, OLIVET’s Finance Director and Dean of Olivet Business School; and WILLIAM ANDERSON, CEO of CHRISTIAN MEDIA CORPORATION and OLIVET Trustee, for fraudulently obtaining at least $25 million in financing under OLIVET’s name, and laundering the money in order to obscure its origins and fund OLIVET’s operations. Today’s indictment supersedes – and includes – the charges announced last month against IBT MEDIA, INC., a/k/a NEWSWEEK MEDIA GROUP, ETIENNE UZAC, WILLIAM ANDERSON, CHRISTIAN MEDIA CORPORATION (“CMC”), and OIKOS, for fraudulently obtaining $10 million in financing, and laundering the money through a network of corporate bank accounts. In total, the defendants are alleged to have obtained approximately $35 million in funding through their scheme. They are charged in a sixteen-count New York Supreme Court indictment with Scheme to Defraud in the First Degree, as well as various counts of Conspiracy in the Fourth Degree, Money Laundering in the Second Degree, Falsification of Business Records in the First Degree, and Criminal Contempt in the Second Degree. According to court documents, ANDERSON was the Chief Executive Officer of CMC and an OLIVET Trustee; XIAO was OLIVET’s Finance Director and Dean of Olivet Business School; LIN was the Chairman of OLIVET’s Board of Trustees; UZAC was the co-owner and Chairman of IBT MEDIA, INC. (“IBT”); and an unindicted co-conspirator was the General Manager of OIKOS NETWORKS (“OIKOS”). The defendants worked together to obtain loans from financial institutions to purportedly purchase sophisticated computer servers valued at a range of $130,000 to $180,000. In order to secure the financing, ANDERSON and XIAO overstated the financial health of OLIVET to prospective lenders, and provided false financial statements to the lenders. To make their false financial statements appear legitimate, the defendants and unindicted co-conspirators created a fictitious auditor, “Lynn Chen CPA,” and created and maintained a phone number and email address for “Lynn Chen,” knowing that no CPA by that name audited OLIVET’S financials. Over the course of the fraud, OIKOS, which the parties held out as an independent vendor, received at least $25 million from seven lenders, purportedly to provide high-capacity computer servers to OLIVET. Instead, OIKOS worked together with the other defendants to engage in sham computer sales transactions, and immediately transferred nearly all of the funds to accounts controlled by ANDERSON, XIAO, OLIVET, and the unindicted co-conspirators. The defendants then transferred the funds through multiple accounts to mask their origin, and to disguise the fact that the funds weren’t being used to purchase equipment. The money was used to purchase real estate, fund OLIVET’s day-to-day operations, and for other purposes unrelated to the stated purpose of the financing. ANDERSON and XIAO also used some of the money to make payments on previously-received financing, helping to ensure that the lenders would not notice the scheme and would continue to fund fraudulent financing transactions. In some cases, funds received for fraudulent Olivet loans were sent to IBT MEDIA, a.k.a. NEWSWEEK MEDIA GROUP; in other cases, funds received from fraudulent Newsweek loans were sent to OLIVET.